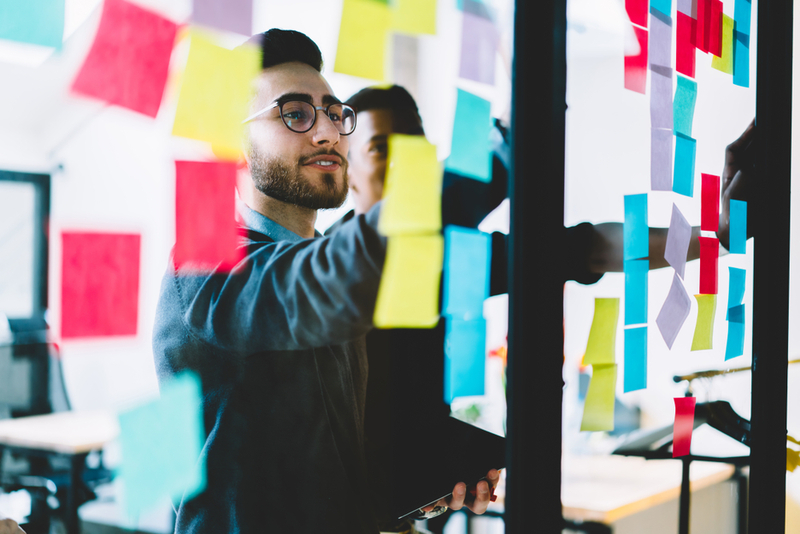 What in-demand skills will you need for 2019 and beyond? With the new year comes the opportune time to start upgrading your resume. Whether you’re hunting down those job opportunities or are simply looking to upskill as an employee, it can pay off to investigate the skills set to spike in employment value for the coming months ahead. To start you off on your climb up that career ladder, we’ve broken down the three most in-demand skillsets for 2019 that are sure to help you stand out in the face of prospective employers – or even on your own as a sole entrepreneur or business owner. Of all industries in Australia, the health care and social assistance field has and will continue to make substantial contributions to employment growth. In fact, the area is projected to provide the largest contribution of an added 258,000 job openings by November 2019 (an estimated growth between 2014-2019). This may be due in part to the country’s ageing population and the increased demand for home-based and child care services – leading to a higher demand for employment in hospitals, residential care services, and the aged and child care sector . Being the largest and most rapidly growing Australian industry, those interested in setting foot in the health care industry will find it beneficial to build upon their skills in communication, personal assistance, and problem solving. Active listening skills: As the professions found in this field involve heavy, frequent interactions with others; establishing close practitioner-patient and professional relationships; and resolving the physiological and psychological issues experienced by clients, acquiring this skillset is one way to get ahead in the area of health care. You would need to exercise excellent active listening skills, have a pleasant demeanour and affinity for customer service, and the ability to make sound, educated judgements and decisions. Counselling skills: Of course, requirements such as a background knowledge of medicine, counselling and therapy may be needed in the major, highly specialised roles in this industry – but it is these soft skills that will allow you navigate your way up the career ladder, regardless of the role. While the industry of health care and social assistance may prove to be the largest employing industry as a whole, the largest employing industry sector (according to the Australian Department of Employment) is predicted to be food services; which include cafes, restaurants, and takeaway businesses. Most, if not all roles found in this sector are set to experience moderate to strong growths in employment. Busines mindset: A strong business mindset, with sound skills in retail and customer service would greatly benefit anyone who seeks to take part in this booming employment sector. An ability to handle managerial tasks such as monitoring large teams; organising, planning, and prioritising daily work tasks; and performing regular equipment inspections will prove beneficial to those aiming to advance to higher-up positions in their organisation. Management skills: Such managerial skills will find plenty of opportunity in both this and sales worker roles in 2019, with both occupations set to experience significant growth in employment. An added bonus in acquiring these skillsets is the advantage of using them to excel in any business venture – whether that of an organisation or your own. The right mindset in sales, and customer service are the driving force behind a successful business model and what builds a loyal, satisfied consumer following that keeps coming back. Adaptability: However, those who have a specific interest in food services will find it an opportune time to pursue this particular field, due to a “burgeoning [Australian] café society” and growth in both international and domestic tourism. With the technology industry continuously on the rise (in both Australia’s economy and worldwide), it wouldn’t be a list of the most important employment skills without mentioning the increasing demand for IT skills in digital content development. The professional, scientific, and technical services make up the country’s fourth largest employing industry, with software and application programmers considered as one of the top ten occupations to contribute the largest employment growth over the five years to May 2022. Design skills: It’s easy to see the impact of technological developments on every corner of the globe; nearly every person we see walking the streets, on public transport, and sipping coffee in our local cafes is glued to their smartphone, and almost all major businesses are taking their services to the online realm for better reach and efficiency. With the constant drive for further advancement, it therefore comes as no surprise that the industry sector of Computer System Design and Related Services is predicted to pave the way for a plethora of employment opportunities in 2019 and beyond. Coding skills: Specifically, a sound skillset in programming and web development can add great value to one’s employability; with over 1.5 billion websites and counting worldwide, and coding being essential to nearly every area of technology. As mentioned previously, the role of software and application programmers are set to see very strong growth in the coming years, predicted to jump from 121,300 workers in 2018 to 146,800 by 2023, with 80,000 job openings to emerge in between. Confidence with STEM: The continuously increasing demand for workers in Australia’s information, community, and technology services are also heavily due in part to the country’s lagging economic position in the international ICT market. There is a great need to catch up to the competition, and with the “[lack] of ICT skills in the current workforce and on STEM performance in schools,” as Deloitte Access Economics Partner Kathryn Matthews points out, “we cannot afford to be complacent”. Do you need to gain more in-demand skills for work in 2019? Navigating your career path in 2019 isn’t so daunting when you know where to start. Upskill today for the career you want. Not only are these skillsets valuable to the specific industries mentioned, but are highly transferable to any field or profession of your choice, helping you excel wherever you are in the job market. So, get out there, start upskilling, and score that job you deserve. Choose one of 100 accredited, online courses now.